Co. Meath: Athboy (2), Gallow, Galtrim, Kilcooly, Kildalkey (2), Killaconican (2), Killyon (2), Laracor (2), Rathcore (2), Rathmolyon (2), Trim (3). The Board also included 7 ex-officio Guardians, making a total of 28. The Guardians met each week on Monday at 11am. The population falling within the Union at the 1831 census had been 31,758 with Divisions ranging in size from Gallow (population 1,464) to Trim itself (5,926). 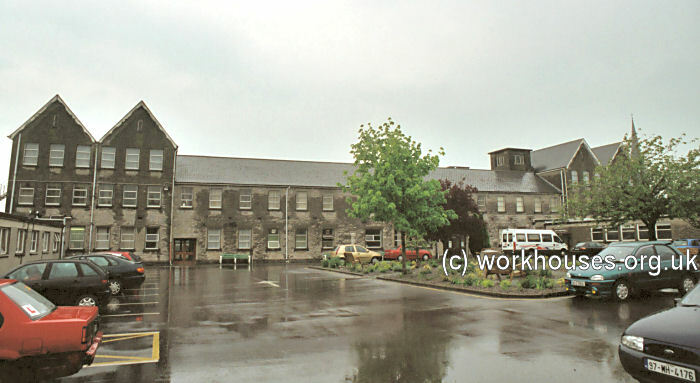 The new Trim Union workhouse was erected in 1840-41 on a six-acre site at the south of Trim. Designed by the Poor Law Commissioners' architect George Wilkinson, the building was based on one of his standard plans to accommodate 500 inmates. Its construction cost £5,750 plus £1,040 for fittings etc. The site location and layout are shown on the 1912 OS map below. The workhouse was declared fit for the reception of paupers on 29th September, 1841, and received its first admissions on 11th October. During the famine in the mid-1840s, a house was hired to accommodate an additional 52 inmates. Fever patients were sent to the nearby Trim Fever Hospital. 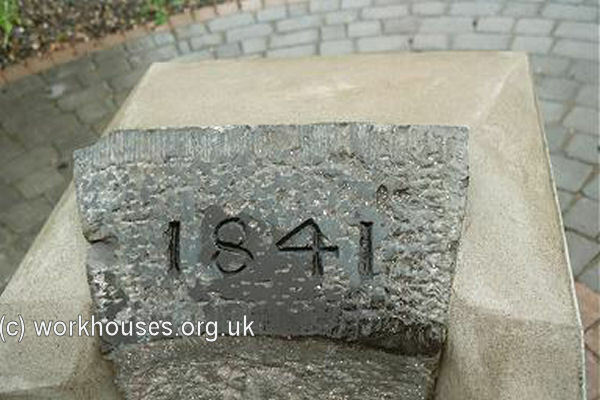 The workhouse had an entrance block at the east. This has now been now demolished although the date-stone from above its entrance doorway has been preserved. 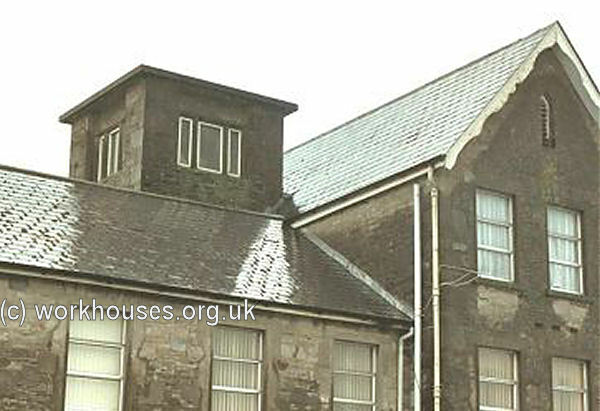 To the rear was an accommodation block, two storeys high, with three-storey cross wings at each end. An infirmary block lay to the west, connected by a central spine which may have contained the workhouse chapel and dining-hall. The former workhouse site is now the home of St Joseph's Hospital. In June 1890, the unions of Trim, Drogheda, Dunshaughlin, Navan and Kells jointly opened a District School at Trim in the old prison buildings, just north of the workhouse. By March 1891, 172 children were in residence at the school. The male side of the school was managed by lay teachers and the female side by the Sisters of Mercy. Meath County Library, Railway Street, Navan, Co. Meath. Holdings: Guardians' Minute Books (Jul 1839 - Apr 1921 with a few short gaps); Rough Minute Books (Oct 1874 - Jun 1916).